Today marks the 96th anniversary of my dad’s birth. A bit hard for me to believe that it’s been neigh a century since he made his way into this world. Maybe that’s because it’s hard for me to believe that I’ve been stumbling around for six plus decades, but that’s another story for another day. The longer I live the more I find myself beginning sentences with the phrase, “my dad always said, or as dad used to say;” funny thing that wisdom. This may be life’s toughest lesson. Who among us has not known or watched someone we love make a decision or choice that we KNOW is going to hurt them? All the words in the world, all the love in your heart, all the energy of your soul is not going to change anything. Only life can teach said lesson and all you can do is hope that they learn, and from the learning, grow. Closely related is this one. This one’s a toughie, hard to come to terms with, for sometimes we think just loving one enough can fix everything. But that will never work if said one loved, does not love themselves. An invaluable tidbit, for emotional pain not encountered can cripple and destroy and being consumed by it can do the same. A parenting book in 25 words! Love this one for its truth and am reminded of it virtually every time I play golf. A great metaphor for life knowing that you are always just one shot away from turning your round around. You’re always one step, one choice, one move away from turning your life around. Mark Twain said that “courage is the mastery, not the absence of fear.” Fear is part of the journey. It is inescapable. My own little tidbit has grown from this…”We choose to feed our hopes or feed our fears.” Feed your hopes and you will continue to grow, feed your fears and you’ll die on the vine. I remember clearly when he imparted this pearl. It was 1986 when I was contemplating a move from Boston’s south shore to Florida’s west coast. I was chatting with him about the pros and cons of said move and was rattling off the cons. He was sitting in his chair, opening his mail, and without looking up he said simply, “Ya know, you can always find 100 reasons not to do something.” And then glancing over his reading glasses, he added, find one reason to try and just do it.” He was telling me to “just do it”, two years before some shoe company coined the phrase. Words to live by…Not always easy, but what is? At the crux of these words is the simple reality that growth, success and being the best we can be, cannot occur without pushing our comfort zones. To remain in the cocoon of our comfort zone feeds fear, cripples and leaves us imprisoned, often in a golden, gilded cage! Good to remember when you find yourself preoccupied with exerting energy in hoping that someone who has wronged or harmed you “gets theirs.” Give it up in the knowledge that karma counts. Self explanatory but not easy. Once again, a situation where we must simply confront our fears. Never, ever easy! I believe this was spawned from the words of one of dad’s favorite poems, If by Rudyard Kipling. Needless to say, it’s become one of mine too. Nothing to add here, for the most important lessons in life cannot be taught, they must be learned. The longer we travel life’s road, the more the clarity of these words reveal themselves for life is a journey wrought with joy and sorrow, love and pain, smiles and tears and often both at the same time. What gives us the capacity to grow is to always, always. always…choose love. For in the end, nothing else matters. 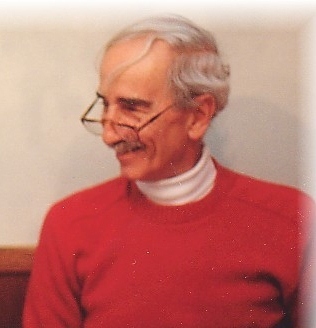 John F Kennedy described himself to his wife as “an idealist without illusions.” I believe I can say that my dad was a “romantic without illusions.” He squeezed every drop out of this life embracing it all. And so it is on this day, March 31, 2017, Dad’s 96th! This entry was posted in Baseball and Life and tagged Comfort Zone, Confront Your Fear, Courage, Fatherly Advice, If, Kerry Keene, Mark Twain, One Putt, Parenting, Remo Sinibaldi, Rudyard Kipling. Bookmark the permalink. 1 Response to As Dad Always Said….